Attorneys filed another wrongful death lawsuit Monday against The Boeing Company. 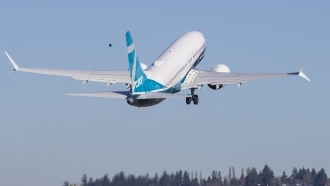 It adds to legal trouble for Boeing in the wake of two 737 MAX crashes. Hassan Abdi is suing Boeing over his brother's death on Ethiopian Airlines flight 302 last month. Mucaad Abdalla was one of 157 people who died when the plane took a nosedive shortly after taking off from Addis Ababa, Ethiopia. That crash came less than five months after Lion Air flight 610 crashed in the Java Sea. Both planes were 737 MAXs. That's Boeing's brand new line of 737, which is currently grounded worldwide. In early March, a Seattle lawfirm filed a suit on behalf of several victims' families from the Lion Air crash. They accuse Boeing of concealing the MAX's new automation system to boost sales. Boeing didn't tell pilots about the system's existence until after the Lion Air crash. Compounding Boeing's legal fight, The Associated Press reports a law firm in Indonesia added people to a suit against the company after its CEO acknowledged the system was faulty. "It's apparent that in both flights the Maneuvering Characteristics Augmentation System, known as MCAS, activated in response to erroneous angle of attack information," Dennis Muilenburg said in a statement Thursday. "The history of our industry shows most accidents are caused by a chain of events. This again is the case here, and we know we can break one of those chain links in these two accidents." The first lawsuit tied to the Ethiopian Airlines flight 302 crash came shortly before Muilenburg's statement. The family of Samya Stumo, a woman on the flight, says Boeing "put profits over safety." 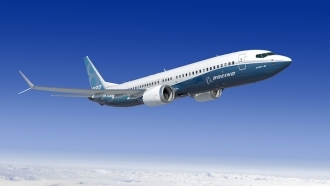 That suit says Boeing's priorities were evident in the company's "repeated claims that the 737 MAX 8 is so similar to its earlier models that it does not require significant retraining for those pilots familiar with the older generation of 737s." Monday's lawsuit fits the theme. It says Boeing installed an unfit system on its new 737 to keep it competitive in the airline market. "Boeing risked people's lives merely to improve its bottom line and must pay punitive damages to punish and deter Boeing, and others, from doing so again." 737 MAX pilots at American Airlines told Newsy they were provided with a short video training on the differences between the new plane and the older versions of the 737 they were used to flying. One of those pilots talked to Newsy about the necessity of the MCAS, saying it was needed to avoid training using full-motion simulators. "Simulator training would have added significant expense to the operators," said Jason Goldberg. Abdi is not suing Ethiopian Airlines or o, the company the Stumo family says designed faulty sensors on the MAX. His suit lists only Boeing. Boeing told Newsy on Monday that it wouldn't comment on the new lawsuit.